Cold is extremely effective at relieving swelling, inflammation and pain. That's why you need to use cold immediately after your injury and any subsequent re-injury that causes a flare-up of pain and swelling. Bringing down the inflammation and swelling in the area of injury is important because it's the first step towards healing, and it's a step that cannot be skipped. You need to do regular treatments with cold until there is no inflammation or swelling present in the injured area. Once the inflammation and swelling is gone, you can start healing your injured tissue with BFST® treatments. You should avoid BFST® treatments if you still have any inflammation or swelling because promoting blood flow to a swollen, inflamed soft tissue injury could potentially cause worsened symptoms and a longer recovery time. Do regular ColdCure® treatments for at least 2 straight days before using the BFST® Wrap. This will help reduce not only the visible swelling you may see on the surface, but also the inflammation you may have and cannot see, deep down in the soft tissue. Avoid using the BFST® Wrap until your swelling and inflammation is gone. If you experience any pain or discomfort during BFST® treatments, this is a sign that you may have internal inflammation. In this case, discontinue BFST® treatments and resume ColdCure® treatments for several days. Once you start doing regular BFST® treatments, you'll still need to go back to using your ColdCure® Wrap from time to time. Do a ColdCure® treatment after any physical activity to eliminiate inflammation in the deep tissue. You should also use ColdCure® to treat any pain flare-ups you experience during the healing process. When you do a ColdCure® treatment, wait 30-45 minutes before using BFST® again. After your 20 minute BFST® treatment, wait 4 hours before using the ColdCure® Wrap, or your treatments will cancel each other out. With every BFST® and ColdCure® Wrap purchase comes the free professional consulting services of our King Brand® Advisors. Our team of knowledgeable Advisors can help you create a treatment regimen that is specific to you and your injury. They can also answer any questions you may have regarding BFST® and ColdCure® technology and treatments, as well as different injuries and conditions. Our Advisors spend all of their time dedicated to helping people recover. They are committed to helping you throughout the entire process. One of our Advisors will contact you 2 or 3 days after your order has been delivered to check in with you and see how you are doing with the product(s). They are happy to help you with any treatment advice or guidance that you need. While one of our Advisors will follow-up with you directly, you are welcome to contact us any time. We are here to help you heal as quickly as possible. Note from KB WebMaster - The text below is primarily intended to assist with Google properly classifying this page content. To learn more about our products please visit our website.<br>Combination Therapy means using ColdCure & BFST in combination by alternating treatments. Combination Therapy is much more effective than using just ColdCure or just BFST. This is because you're getting both the pain and swelling relief of ColdCure and the healing benefits of BFST, resulting in the absolute best treatment for your injury. Combination Therapy is ideal for treating muscle, ligament, tendon tissue, repetitive stress injuries, sprains and tears. 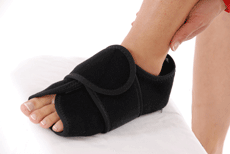 ColdCure and BFST wraps are designed to treat soft tissue injuries and chronic conditions. 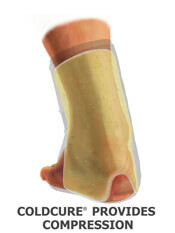 ColdCure and BFST wraps are also ideal for injury and re-injury prevention, as well as post-surgery recovery. ColdCure will relieve your pain and swelling. BFST will promote blood flow in the area of injury. Improved blood flow will help to heal your injury. Keep using BFST even after you feel healed. Using BFST for months after you've healed will maintain the healing you've done and prevent re-injury. Once you've done 4-6 weeks of Combination Therapy treament, you can start to do some light exercises. Some injuries require surgery. This may heal the injury but the pain after surgery can be severe. The best injury treatment is Combination Therapy. The best injury pain treatment is ColdCure. The best injury healing treatment is BFST. These wraps are incredible. They feel comfortable. They work.